Convincingly Good Design – engineered to look exactly like oak, visitors will be amazed to hear your decking is made from composite materials and not wood. Not plasticky in the slightest, the secret is in the way this composite decking is moulded from replicas of natural prime oak, and then brought to life in a choice of sympathetically recreated colours. In fact, the only hint it’s not the real deal is in the way it looks so good – no green patches, worn areas or slimy surfaces for you to worry about. Incredibly Strong & Safe– our composite decking is unique because the substructure is also made of composite and not wood. Your substructure will last as long as your decking boards. It won’t rot or corrode and will stay strong even on wet or muddy ground, making it especially suitable for riverside properties or homes on slow-draining land. And because you need your decking to be as safe as it is strong, you’ll be impressed to hear our high-performance decking boards lead the industry with their high-scoring, anti-slip ratings in accordance with BS79.76 slip resistance tests. A Broad Choice of Finishes – Choose between a range of 9 beautiful finishes and colours. The classic “enhanced grain” look is a good all-rounder in a variety of tones, whilst our slick and stylish Japanese-inspired “carbonised” finishes and the vintage “weathered oak” finishes enhance and complement your home and garden design schemes with stunning results. If extra grip and slip resistance is your primary concern then our carefully engineered Lasta Grip finish is the perfect choice for your project. Perfect-Match Edgings, Fascias and Fittings – You shouldn’t put up with edgings and fascias that don’t quite match. 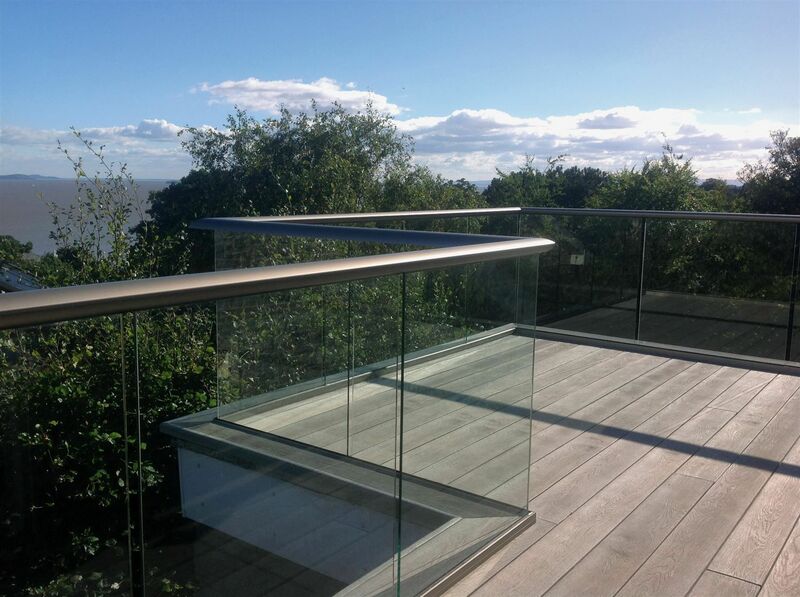 Our British-designed, British-made range has fascias and edgings that perfectly complement your composite decking. 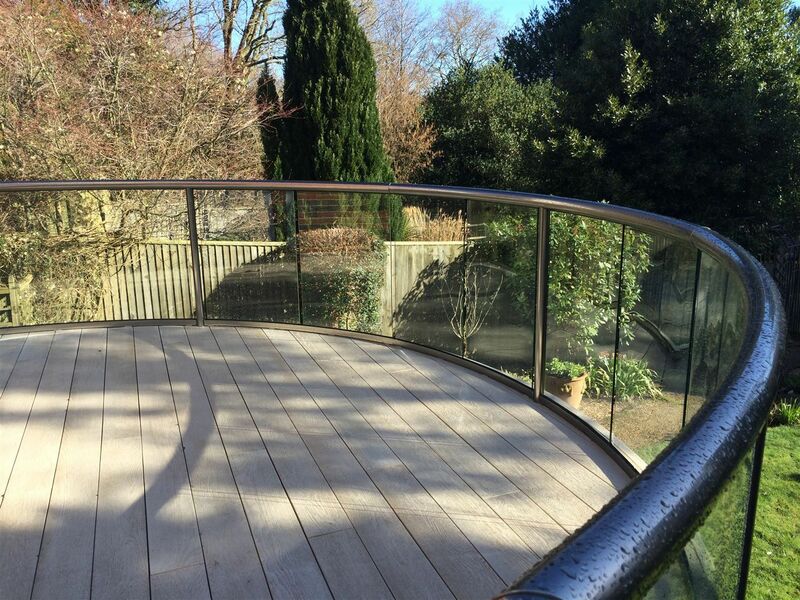 We use “ghost” fittings to make your decking look even more slick. (They’re called “ghost” because you can’t see them but know they’re there – not that spooky at all!) After all, if a job’s worth doing, it’s worth doing it properly! A 25-Year Warranty – Yes, you read that right! We offer a 25-year warranty on all our composite decking. So that’s 25 years of chilling out on your beautiful, well-made decking. And 25 years of pretty much zero maintenance. There aren’t many other things in this life that you can be so relaxed about are there? Advice Included as Standard – Not sure which composite decking choice to go for? Or uncertain about which fittings you need? Then call our team of friendly and knowledgeable advisors. They can give you the information, technical information and advice you need to make a success of your decking project.